Imperius began as a fallen human. It is said that he dedicated himself to honor and just causes. At some point, he became aware that the world is not painted in absolutes and he traveled far and wide to test and see if creatures like Orcs, Gnolls, Ogres, Trolls, and other non-human but sentient monsters could or did honor the same "Just Cause" principles Imperius did. Ynt'taris recounts a time where Imperius vanished from the mortal world and reappeared almost 100 years later at the head of a horde of orcs, all worshipping Pha Rann. Eventually, Imperius mastered all weapons and sought to master the body as a weapon. This resonated with Merakoran cultures that would resemble Shaolin kungfu and Japanese bushido in our world today. Though there was some problems with his orc followers and these humans getting along, they collectively came to be known as Imperics. When Imperius ascended, he became the God of Just Causes. Good-aligned sentient creatures of any race are welcomed by his Temple, which is located now on the Isle of Khasra. 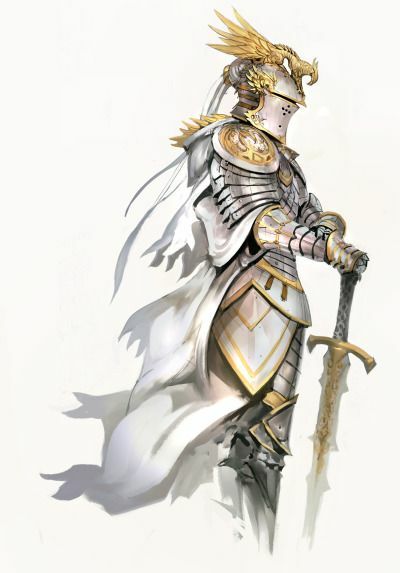 Martial artists, duelists, priests, and paladins thrive in their worship of Imperius. Imperius is the only Tehran god besides Tiamat that sponsors paladins and clerics outside their normal racial dominion. Imperic priests and paladins proselytize Orcs especially but will take any sentient creature through consecration. Imperius believes that consecration is performed as a personal decision to sacrifice some aspect of the self representative of their pre-consecrated self. This is kept secret after being shared with the consecrating priest. "My body is my Temple," is a mantra common to Imperics. Purity of mind, strength of body, and astute educational values dominate Imperics' lives.